Sun Cellular's Regular Plan 450 gives you 25 hours of free surfing and an additional P450 worth of consumable credits. After you use up the free 25 hours , you will be charged with P1.47/15 mins. Now doing the math, P450 divided by P1.47 = 306 instances of 15 mins. 306 x 15 mins = 4591 total minutes. Lets convert it in hours. 4591 mins divided by 60 mins/hr = 76 hours and 30 mins. So, the plan 450 gives you as much as 101.5 hours of internet. Im not sure if you can also use the consumable credits for texting or calling. I thinks its possible. Ill update this post once i confirm that Anti Bill shock is also included in this plan. If you don't want to have it for 30 days instead, you can register to Trinet 300. Basically, its just the equivalent of Unli Trio that is for 30 days (1 month). Heard about this long time ago and until now, even after reading some references, I still don't get how ABSCBN Mobile stacks up against Globe or Smart (and Sun Cellular) in any way. I mean, checking out their offerings on my perspective, I don't see any advantage of being a subscriber of this network aside from being able to access iWant TV ? iWant Txt ? iWant Stars? If you are a die hard fan of ABS CBN artist, people who wants to connect with their idols, this network would probably work for you but for the general public, I don't think so. Does anyone know if they're running their own network or are they piggy backing with Smart? Starting July 16, customers purchasing Mi 3 via www.mi.com/ph will get a free Globe Prepaid SIM and free 50MB of mobile data valid for 30 days. To avail of the free mobile data, customers can text FREE1MPS99 to 8888 after SIM activation. Looks like Globe will be taking advantage of the hype brought by Mi3. 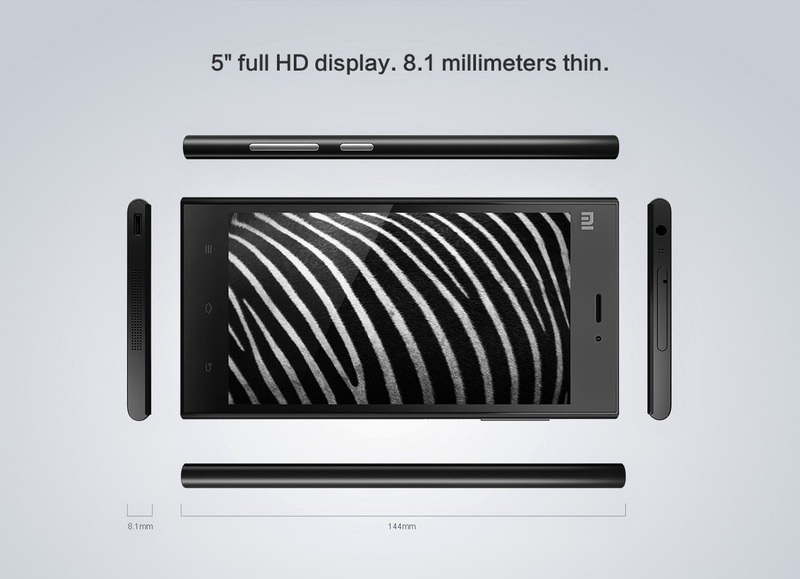 And with the positive feedback from the unveiling of Mi 4 , I'm expecting that Globe will also be partnering with Xiaomi to have it exclusive on their network first after it's release. Imagine, flagship phones that can be offered under Plan 999 ? 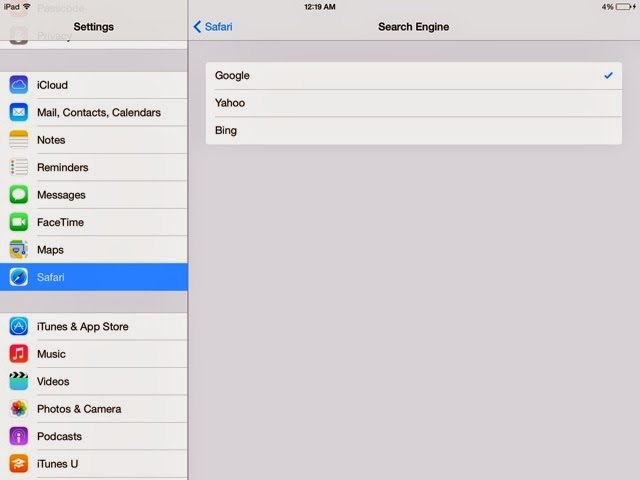 My iPad's default search engine surprisingly is yahoo. Lets admit it, google is still the better search engine thats why i want to use it more than yahoos. I cant stand changing the the search keywords i enter just because i cant find what i want on yahoo's first page so i decided to change my default search engine. 3. Look for the search engine settings and tap it. 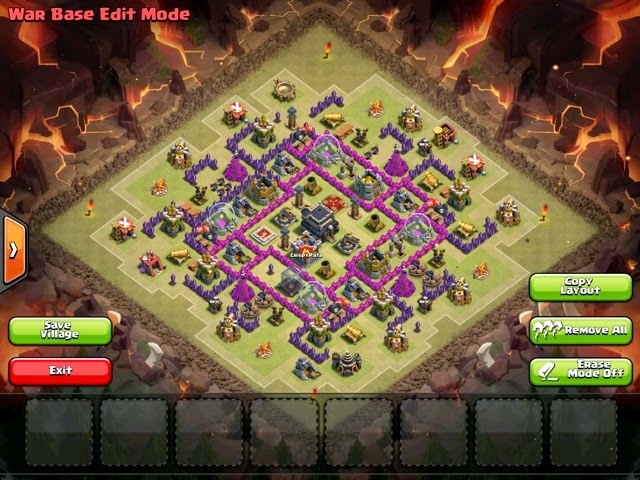 This is the best anti war base design I've used so far with the town hall level 9 account I'm using. I'll be sticking to this for the mean time. Though I haven't experienced yet being attacked by dragons. But most of my attackers , if not using giants and wizard, is using war hogs so I guess this would be the most practical design as of the moment. You can also use this as a TH 9 farming base, just move the townhall outside the walls I and replace it with a storage or a piece of wall just to cover the hole in the middle. I'd like to share how I do my elixir and gold farming and earn way more than I spend in training troops. I'm currently in town hall level 6. This might be applicable to other levels too but may be hard to pull off on higher TH levels due to more defense structures available for the enemy. 2. Look for enemies with gold mines and elixir collectors found outside the base - of course the resources are stored on the storage buildings BUT you also have to remember that until the player collects these resources, they stay on the mine or collector. One thing I noticed is that for example, I came across an enemy with let's say 200k of gold, most of the time I can get half of it from the mines alone. 3. Target only enemy base that your troops can handle. There's no point attacking your troops to a base with lvl 3 3x mortars and 3x wizard tower (and more cannon and tower) and You'll only waste the elixir you've spent on training your troops. 5. Lure the clan clastle troops first. Using an archer or barbarian. 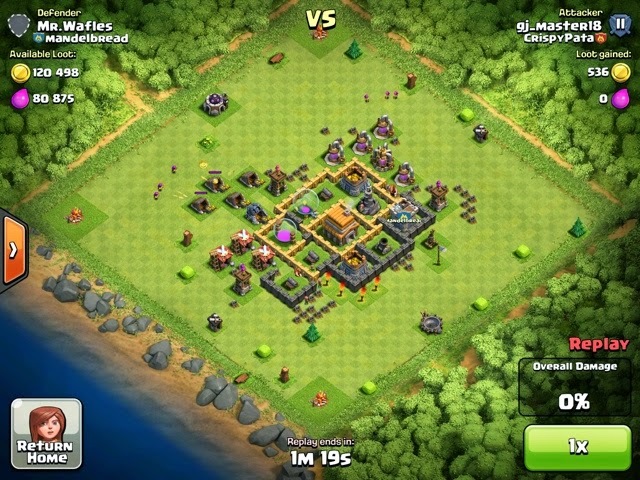 Attack a structure near the clan castle to lure out the troops. Drop units 1 by 1 until all troops of the enemy comes out. Kill them using a lightning spell or lure them out to an open area far from enemy defense and ambush them using archers or barbarian. 6. Divert mortars attack from the side where the mines and collectors are by dropping giants on another side. This is to prevent the mortar from laying waste a bunch of your small troops in a shot or two. 7. Drop some few giants on the side where the mines and collectors are located. This is to get the attention of the wizard towers, cannons and archer towers to your giants - and away from your "looters". When I say looters, it could be goblins, archers or barbarians. 8. Drop wall breakers near the mortars. A better plan is to destroy the mortars if you can. This way, your giants can last longer as the the number of defenses attacking them also decreases. Time the wall breakers carefull. You don't want to waste thousands of elixir by dropping a wall breaker only to be killed by the splash damage of the mortars attacking your giants. 10. Don't drop all troops at once. Leave some giants and looters on hand. You save some in case traps caught your first batch. This technique proves to be effective for me. I've been using this for quite some time now. Actually right before I wrote this blogpost, I only have 350k'ish golds and 150k'ish elixir. By the time I finish writing this article, I've earned ..... (Check the screenshot below). To give you an idea, it took me around 20-30 mins writing this because I'm using an iPad and is playing on the side. The update focuses on balancing hero battles. A few upgrades are also introduce specifically to P.E.K.K.A level 5, Jump spell level 3, Hidden Tesla level 8 and Bomb level 6. 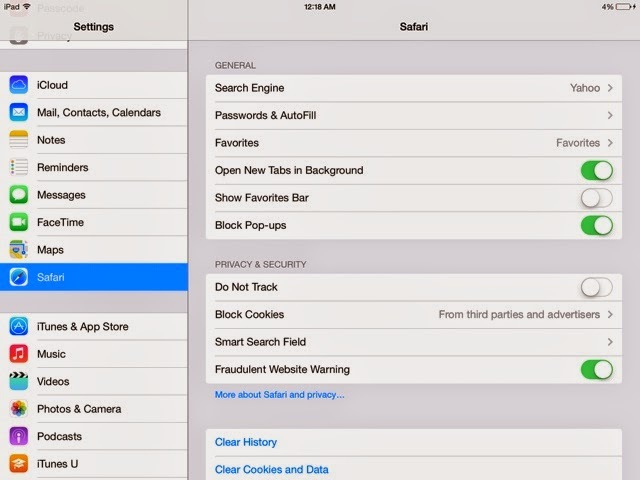 Apple just rolled out a new update to iOS with version 7.1.2. The update is aiming to solve issues found on 7.1 but it looks like 7.1.2 has it's own set of problems. 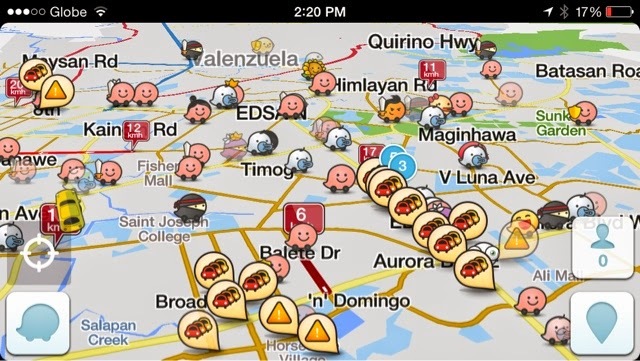 Users are reporting problems about installation of the update. The update is stuck downloading on the device and crashes during installation. Users coming from different versions of iOS 7 is reportedly experiencing the problem so we can say that this problem is not just isolated from one version. Quick fix is to hard reset your iPhone or iPad by holding sleep and home button for up to 15 seconds or until the apple logo appears. Users are also reporting issues with not being able to use their exchange accounts. The battery problem seems to have not been fixed yet too. Rear camera not working and only displaying a blank screen might also be encountered. I've seen also a report about contact information gone missing, I too is experiencing the same issue (this explains why some of my contacts can't be seen on the contacts app but when you access the info from iMessage contact info you can see it). Contact syncing issues and a lot more. 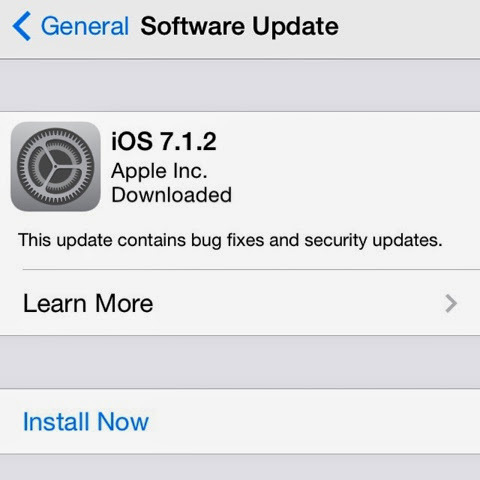 If you I want to see more problems affecting users who updated to 7.1.2 , you can see it on discussion.apple.com , just search for 7.1.2 .